Due to the significant loss of riparian habitats in California over the last century, riparian species such as the wood duck suffered marked population declines. The dramatic rebound of the wood duck since that time is largely attributed to the protections provided by the Migratory Bird Treaty Act of 1918. 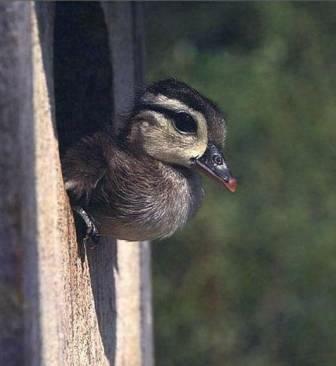 However, the recovery of the wood duck was also helped by the introduction of these artificial nesting structures. An uncommon species in much of the State, wood ducks at FHL are well-known by California waterfowl hunters. Aware of this importance, FHL runs a wood duck nest box monitoring and maintenance program in association with the non-profit California Waterfowl Association’s state-wide Wood Duck Program (http://www.calwaterfowl.org/woodduck-program). 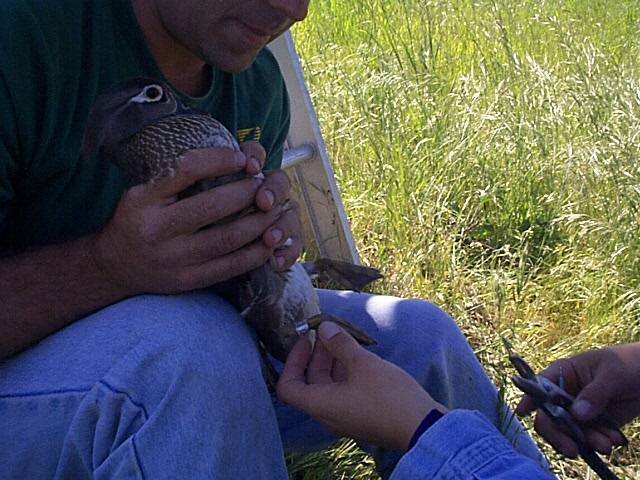 FHL maintains and monitors over 120 wood duck boxes annually, making FHL one of the CWA’s leading contributors. These wooden structures increase breeding habitat and boost species reproduction. Several factors are considered when selecting wood duck box sites. 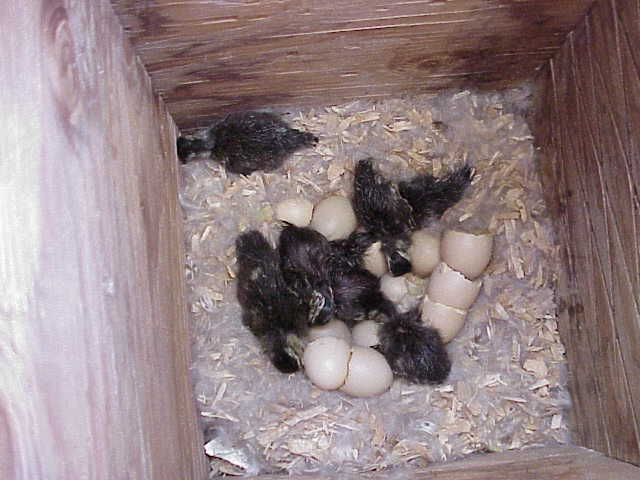 In order for ducklings to survive once they leave the box, suitable brood habitat must be available within a few of hundred yards of the box. In addition, the best habitat for broods and their survival are shallow, fertile wetlands covered with thick vegetation and abundant of invertebrates. On FHL, good breeding habitat can be found along the Nacimiento and San Antonio rivers, as well as, many of FHL's small ponds and reservoirs. The boxes are monitored during the breeding season, and repaired in the fall. Duck boxes are moved as needed in response to changing water supplies and use patterns. Since 2000, FHL has recorded over 5,000 eggs laid in these boxes with 3,023 hatched and fledged (and counting). That's nearly 180 additional birds per year! 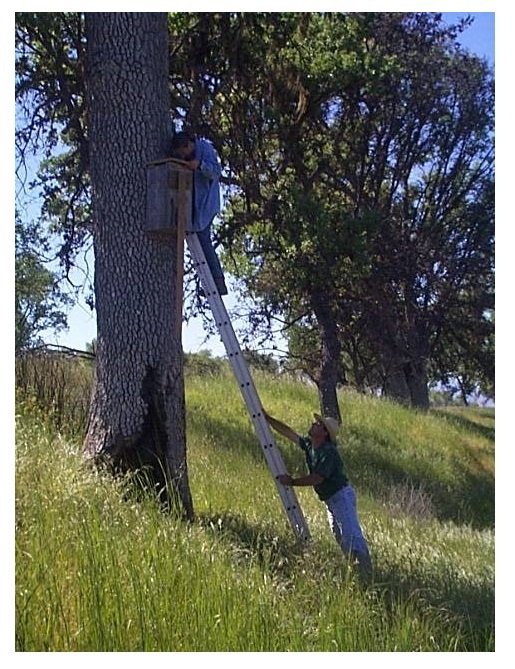 These artificial nest boxes not only provide shelter and nesting for wood ducks, but for many other animals, including honeybees, American kestrels, red-shafted flickers, western screech-owls, deer mice, and wood rats. 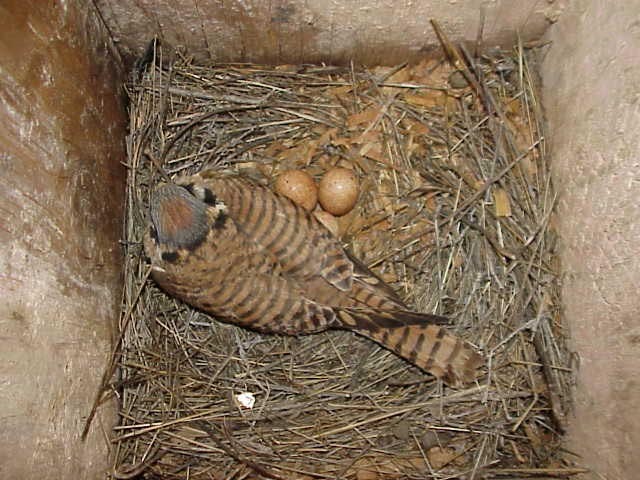 American kestrel with eggs in one of FHL's many wood duck boxes. 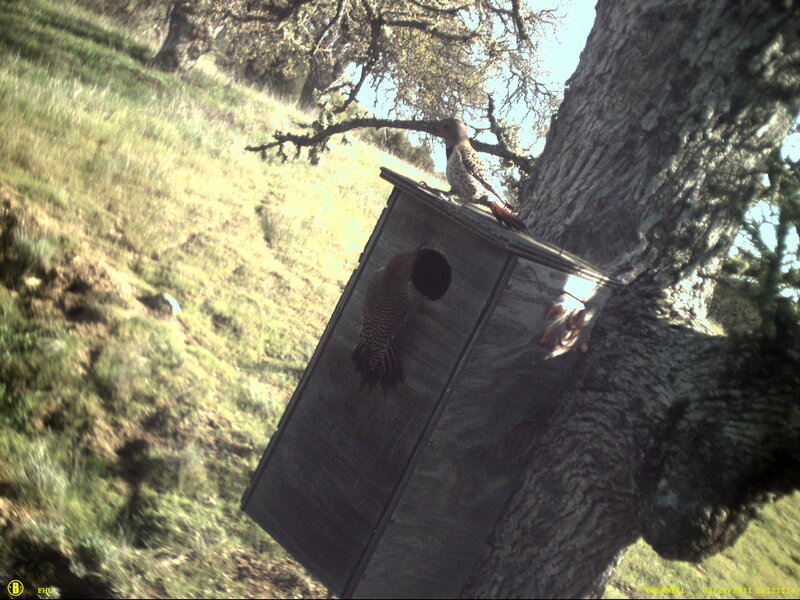 Pair of red-shafted flickers checking out a wood duck box as a potential nest site.